three + = nine Required Please enter the correct value. At the closing bell, the Dow Jones Industrial Average today dropped 159.84 points to finish at 16,412.71. The Nasdaq fell 110.01 points finish at 4,127.73, while the S&P 500 lost 23.67 points to end the day at 1,865.10. A big reason for today's market fall: The U.S. jobs report disappointed. Despite positive revisions in jobs for January and February – adding another 37,000 jobs – the tepid figure of 192,000 positions added in March didn't provide a surge to the markets. The numbers just missed "expectations" in this new normal economy. The announcement isn't bad enough to cause the U.S. Federal Reserve to reverse its pace on tapering its stimulus plans. But this news won't push the Fed to increase interest rates sooner than expected. These lukewarm results only suggest a gross domestic product boost of 2.5% in 2014, which is simply not fast enough growth in this economy. Despite all the stimulus and "extraordinary measures," we're still spinning tires. 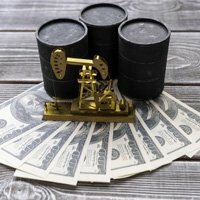 And, as Larry Kudlow pointed out on Friday morning, the economy has the resurgent oil and gas sectors to thank for a bit of the job growth that has taken place since hydraulic fracturing (fracking) came online. Without fracking and shady accounting practices, official unemployment would be at far, far worse. Perhaps it's time to try some other ideas, like tax reform, new education approaches, repealing needless regulations, rolling back Obamacare costs, and eliminating Washington cronyism in order to turn this economy around. Here's a recap of other major events today. Hungry for Profits: This morning, online food delivery company GrubHub Inc. (NYSE: GRUB) soared more than 40% in its debut on the New York Stock Exchange. The company's initial pricing offering was $26 a share, but shares jumped above $40 at opening. According to its IPO filing, GrubHub processed more than 135,000 revenue-generating orders each day last year. The company's revenue increased by 67% in 2013 to $137 million. Grubhub's opening valuation was nearly 15 times its annual revenue. For where GRUB stock could go next, here's the full story. IMS Health (NYSE: IMS), a healthcare information company; Five9 (NYSE: FIVN), a cloud software provider for call centers; and Opower (NYSE: OPWR), a provider of cloud software to utilities, also experienced successful debuts. Coal Stocks Surge: BHP Billiton (NYSE: BHP) executive Dean Dalla Valle, who runs the company's coal division, said he expects global demand for coal to increase in the decades ahead. After the statement, stocks in coal companies surged. 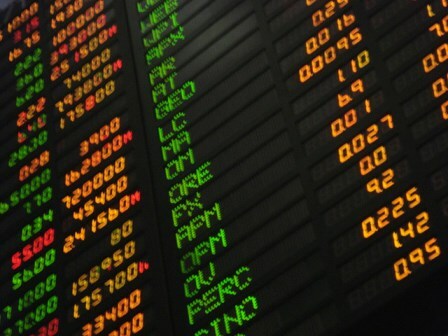 Shares of Alpha Natural Resources (NYSE: ANR), Arch Coal (NYSE: ACI), Peabody Energy (NYSE: BTU), and Walter Energy (NYSE: WLT) all increased this afternoon by more than 3%. The executive suggested that India will become the new driver of coal demand in the global markets. The Cold Burger War: With post-Cold War relations at a low, concerns over the rift between Russia and the West has created new uncertainties for companies with assets in the Crimea region. On Friday, McDonald's (NYSE: MCD) announced it had closed restaurants in the contested Crimean regions, which has raised fears of a trade war. The backlash over the Crimean population being unable to get a Big Mac and fries has led a prominent politician in Moscow to call for the Kremlin to shut down the company's outlets across Russia as well. Shares of McDonald's were up today slightly. Big Money for Blankfein: Executives at Goldman Sachs (NYSE: GS) saw another big payday in 2013. The company's CEO Lloyd Blankfein saw his compensation increase by 50% in 2013 to reach $19.9 million, according to the U.S. Securities and Exchange Commission. The payday included $11.3 million in stock awards. Goldman's COO Gary Cohn also received $18 million last year.